St Bartholomew’s is a school where all are welcome and valued regardless of who they are or what needs they bring with them. We are a school that is not content to sit still but also do not believe in change for change sake. We strongly believe that each child is an individual, loved by God and deserves the very best of our abilities in providing learning opportunities and experiences that are creative, stimulating, challenging, fun and exciting. 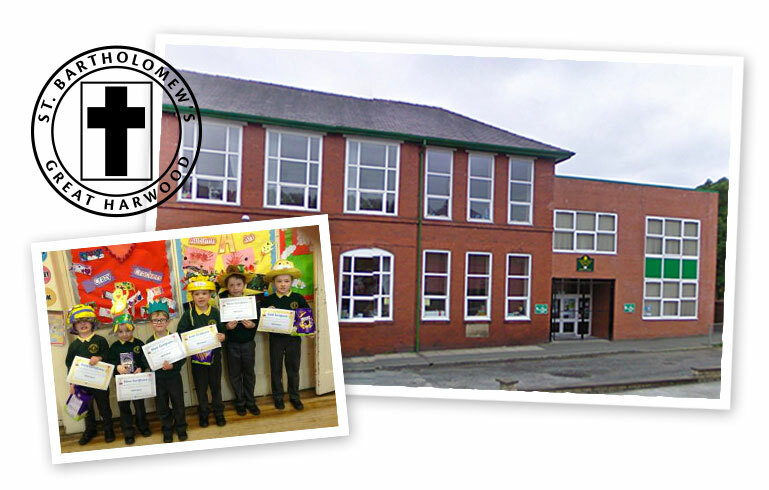 We endeavour to provide the skills and knowledge necessary to progress to the next stage of their learning. We aim for excellence in all areas of learning. We also believe that it is our responsibility to foster a lifelong love of learning in each child. We recognise that we live in a world in which new and developing technologies play an increasing role. We will wherever possible and appropriate, make use of these to inspire ‘irresistible learning’ amongst our children. Through daily collective worship and prayer, and regular sharing in the Church of England liturgy, children are encouraged to develop an awareness of the presence of God and to make their own personal response. We believe that the world in which we live was created to be an amazing place; we have a duty to do all we can, to care for and preserve this precious resource. We will, wherever possible, adhere to the principles of the Eco Schools programme so that the children grow up with these as second nature to them. We will become a Fair Trade school and purchase ethically wherever possible. The School encourages parents to participate in its everyday life and in the education of their children, and values strong links between home, school and neighbourhood. Children are supported in recognising need and in showing practical concern for one another and the wider world as an outward expression of Christian faith. All stakeholders should feel welcome to come and join in whenever practical and relevant to the learning underway. We believe that a strong collaboration between school and home is vital to ensure that the children get the most from their time at our school. Our governing body endeavours to provide strong and considerate support for the staff and pupils of the school in ensuring that we are providing excellence in all we do. In all we do we endeavour to give our very best – the formal and informal curriculum, worship, relationships, interacting with the wider community for the benefit of the children. All members of our school community will be expected to adhere to this.